This public lecture series, held at 7 p.m. on the first Tuesday of most months, addresses challenging and engaging social science topics such as politics, policy issues, ethics, public perceptions, law and science and society. The name Crossroads of Ideas reflects the importance of the Discovery Building as a place for campus and community to learn about thought-provoking topics. Crossroads refers to both the building’s central location on campus and the intersection of the dozens of different disciplines that work and study here. Alfons o Morales, associate professor of urban and regional planning and of civil society and community studies at UW–Madison, will talk about the impacts of street markets. 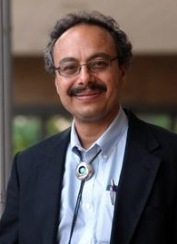 Morales is a researcher, advocate and practitioner/consultant on food systems and public markets, particularly food distribution modalities and urban food production and the many economic and non-economic benefits of these practices.